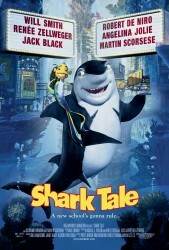 Plot Outline: The sea underworld is shaken up when the son of the shark mob boss is found dead and a young fish named Oscar is found at the scene. Being a bottom feeder, Oscar takes advantage of the situation and makes himself look like he killed the finned mobster. Oscar soon comes to realize that his claim may have serious consequences.